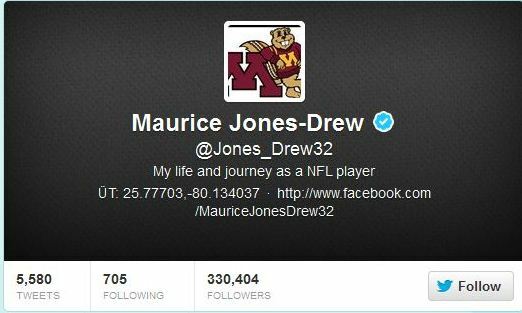 This isn't news of any real sort, we just think it's odd: Maurice Jones-Drew, a running back for the Jaguars with no discernible connection to the U of M, has a Gophers logo as his Twitter avatar. MAYBE HE'S THE NEW GOPHERS BASKETBALL COACH. Or maybe he just likes the "M" for Maurice. UPDATE: Savvy commenters say this could be related to a UCLA-Gophers bet (Jones-Drew went to UCLA). Wednesday (Where is Shaka?) edition: Wha' Happened?